​David Bote has been riding shotgun on the North Side all season, filling in for players where he's needed and flip-flopping back and forth between the bigs and the minors. But after Sunday night's thriller, he's proven just how badly the Cubs need him. Bote nailed the ​golden dinger Sunday night; he hit a walk-off grand slam with his team down three on his very last strike against the Nationals. This is the stuff legends are made of, which should only tell the Cubs one thing-- Bote should be a full-time player for their team if they want more magic like this to happen. ​​Bote started making some noise when he was filling in for Kris Bryant back in July as an infielder but was​ sent back down once Bryant was better. 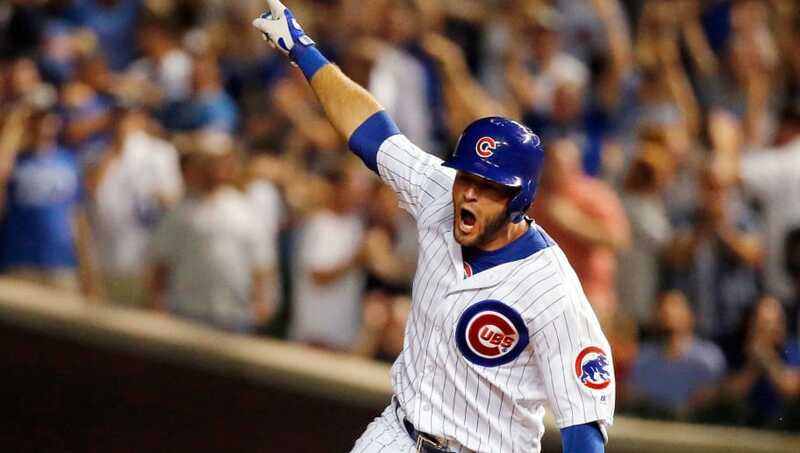 Now that Bryant is back on the DL, Bote is back and making even more noise at the plate. Yes, sometimes a rookie really can outshine a former MVP. David Bote, a minor leaguer whom many thought had no shot at the big leagues as recently as two years ago, is now hitting .329/.418/.539 in MLB while filling in for a former MVP. The way he's been raking, the Cubs should want Bote to stick around for a good while. He seems to know what he's doing and could really pull the team even further ahead in the NL Central with an eye toward a run at glory.